Explore the country, contributing your valuable medical skills where they’re most needed — while earning good money. That’s all possible with locum tenens. Right now, we have openings all across the U.S. Some physicians choose to do locum tenens full-time, in order to gain work/life balance, spend time with family, and choose their own hours. Other physicians take on occasional locums work in order to travel to their bucket list destinations. Isn’t it time that you did something for yourself? Went someplace new? Tried something different? Why not line up an assignment — and explore while you’re there? Oh, and did we mention the perks? In most cases, we pay for your airline flights, housing, and malpractice insurance. We’ll help you through the licensing and credentialing processes. Plus, wherever you go, you’ll be adding to your CV while helping people where you’re needed and appreciated. California: Sea to mountains, city to country, and everything in between! One of our regular locums physicians likes to visit Santa Barbara in order to take on some locum tenens shifts, to see friends, and to enjoy the sights and food. Many other locum tenens doctors choose to take assignments in iconic California, too. And why not? In California, you can explore wine country; walk through Hollywood; and visit Yosemite, the Redwoods, Joshua Tree, Lake Tahoe, and all of the other wild wonders. From city life to remote mountains to beautiful beachside sunsets to all kinds of entertainment, California has variety and splendor for everyone. Ready to go on your own Californian adventure and get paid for it? Contact us today, as a permanent California license takes about 16 weeks to secure. We’ll help you through it, and typically cover the cost. Massachusetts: History, beer, sports, water — and more! There’s so much to do in Massachusetts, from the famous Massachusetts Whale Trail — which links nearly 40 museums, attractions, whale watching excursions, historic sites, and tours — to the legendary sites in Boston, to a replica of the original Mayflower boat, to the wonders of Cape Cod and Nantucket. And there’s crabbing, clamming, fishing — and so much more! Food, brew pubs, arts, theater, sports, and many activities captivate tourists and locals alike. Western Massachusetts is beautiful, full of lush green hills in the Berkshires, to the dazzling foliage along the Mohawk Trail, America’s first scenic road drive (and yes, you can hike through the forest there, too). Hike and bike this side of the state — or go on a local food tour via the quant bed-and-breakfasts and spas. Oh, and who wouldn’t want to enjoy New England’s dazzling colors in fall? And don’t forget the 14,000 acres of active cranberry bogs. Sound fun? Get started, as generally, licensing takes 16 weeks, so contact us today if you’re interested, and we’ll help you through the process. North Carolina has mountains, valleys, and miles of seashore. Whether you’re looking for an urban retreat, or something off the beaten path for all kinds of recreational adventure (from fishing, hot air ballooning, sky diving, hiking, biking, skiing, golf, rock climbing, and more), you can find it in North Carolina. Visit eclectic cafes and breweries, moonshine distilleries, vineyards, historic landmarks, museums about the Wright brothers and their famous Kitty Hawk and so many other historical eras — and lots more. As the locals say, “North Carolina has long been associated with sweet tea, NASCAR and the Duke-Chapel Hill basketball rivalry.” All true, but there’s much more too. Licensing takes about six weeks, so get started with us today. Minnesota boasts more than 10,000 natural glacial lakes and is perhaps the origins of politeness, with down-to-Earth people who know how to work hard and express their gratitude. If you like nature, water, and water sports (from top-notch fishing lakes to water skiing), then be sure to visit. With so many lakes and rivers, Minnesota has more miles of shoreline than California, Florida, and Hawaii combined. The Twin Cities (the Minneapolis-St. Paul metro area) features culture galore, including numerous museums, more than 120 theater companies, tons of local music, and good food. With so many parks and green space, you can bike from one side of Minneapolis-St. Paul metro area to the other on bike paths with nary leaving greenspace. Southwestern Minnesota features prairie land, quiet spaces, and simple, uber affordable living. Northern Minnesota, is the land of lakes and forests, with Duluth acting as the gateway to Lake Superior, which is so big that all the other Great Lakes combined could fit into it, with waves sometimes as tall as 40 feet. Licensing in Minnesota can take about six weeks, so reach out to us today! From Mackinac Island, where no cars are allowed, to the origins of American industry, to jumping off into adventure on any of the four Great Lakes, Michigan has a lot to offer. Uniquely, no matter where you are in Michigan, you’re always within 85 miles of one of the Great Lakes’ shorelines. The Upper Peninsula is known for rugged living, splendid wildlife, numerous lakes, and nature. It’s a must-see at least once in a lifetime and the perfect spot for any type of outdoor adventure. In the Lower Peninsula, visit museums to see the birthplace of modern industry, explore the roots of Motown, dine on fine or fun food, see live music, and go to festivals, farmers markets, and more. Plan around six weeks to get your license. Contact us today! Ready to explore your own locum tenens adventure? Ready to treat yourself to some travel? Click the button below to browse our current openings, or give us a call at 1.800.760.3174. Sometimes it’s difficult to see the beauty in your own backyard. But that’s exactly what we implore you to do with the good ol’ United States. That’s why we painstakingly researched what this year’s top 10 states should be. Stop, take a breath, look around and make the familiar, unfamiliar again. Do it and you’ll see a world of adventure open up. 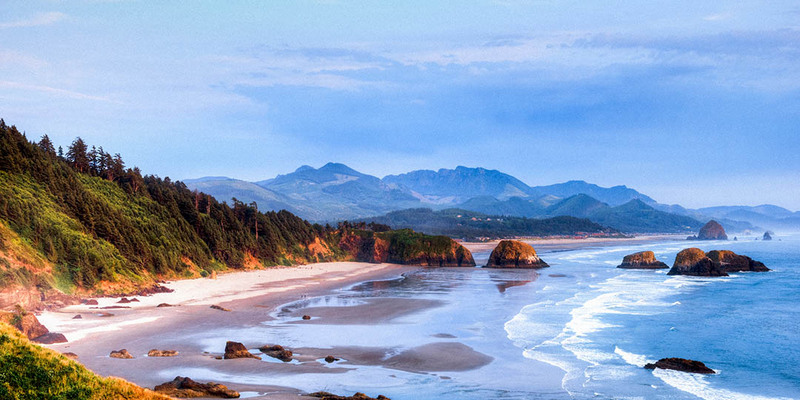 We now present to you part two of Global Medical’s “Top 10 States to Explore” series. Read on and be inspired. Ah, the Midwest. We find it at the intersection of those two disparate but quintessentially American coasts: east and west. The divide between the two began in 1849, when hundreds of thousands of forty-niners, migrated to California and—legend has it—they were carrying lattes and surfboards. Early settlers of the frontier didn’t fly at the time, but some of the states here have been erroneously dubbed “fly-over” states. Yes, erroneous because we think America’s Heartland is full of great destinations—like Minnesota. All those Gold Rushers who never made it past the Midwest—seems they found their own wide-open field of dreams right here. Minnesota alone has 90,000 miles of beautiful shoreline—that’s more than California, Florida, and Hawaii combined. In fact, if you have a penchant for wide rivers, mighty hills and deep culture, then this state is for you: its roots run incredibly deep when it comes to adventure. Between wild places like the Minnesota River and the Southern Lakes; small-town excursions like the North Shore Beer Trail in Duluth; and Native American heritage stops all along the Minnesota River Valley, this state is an endless eruption of spoils. All that is just a smattering of potential outdoor diversions you'll experience. Then there’s the food. Philadelphia may have its cheesesteak, but Minneapolis has its Juicy Lucy. Plus, the folks you’ll meet in the Twin Cities area can’t be beat. Minnesotans are open, friendly, and straightforward and they prize themselves on their work ethic, heritage and independence. A sunny day in June may come with a price tag, but they take the winter weather with a shrug and a stoical smile. In the end you don't find many places like Minnesota. Not just because it has miles of boast-worthy beaches along countless top-notch fishing lakes (Darling, Winona and Victoria to name a few). No, the real reason is because when you set foot in this portion of the U.S., it just feels like home. In fact, the Land of 10,000 Lakes is the very definition of "welcome." Come work in the middle of America; you'll leave thinking the Midwest is best, too. Trust us, you won’t tire of this place. You’ll enjoy its luster. You’ll end up preferring its Pacific waves to those blaring neon lights in the contiguous United States you're used to. That's right, Hawaii replaces that stop-and-go lifestyle with its own unique glow. You’ll see it in its dissonant cliffs; in its harmonious beaches; in its twisty-turny roads; and in the tanned smile of every local that's so enormously thankful to call these shores home. Six islands make up this state. Three active volcanoes continue to sculpt its boundaries. And every last one of these ocean sanctuaries has quite the distinct personality. Kauai has perspective-shattering cliffs along the Napali Coast. Oahu gives just the right amount of city life while still blessing tourists with famous Hawaiian views (think Waikiki Beach). Molokai packs an incredible haymaker with its white-sand Papohaku Beach. Lanai trades in traffic lights for moon-invoking landscape at Keahikawelo (Garden of the Gods). Maui attracts artists and artisans alike due to its inspiring landscape. (Head to the top of Haleakala National Park to understand why these locals are so endlessly inspired.) And the Big Island, can we just say wow. The coffee farms of Holualoa. The rainforests of the Hamakua Coast. The black beaches of Punaluu. A few footsteps in any one of these above-mentioned sights will tempt you to abandon everything you know and let the ground below be your new home. Find yourself here. When it comes to great mountain and beach destinations, New York isn't always first-to-mind. Tall buildings, yes. Hiking boots and bikinis, no. Believe it or not there are places in the Empire State where there's rarely a hint of city life and always a steady influx of relaxation. In Upstate New York for example, sky-high mountains take the place of towering skyscrapers. Gridlocked traffic is traded in for infinite hiking trails. And the bright lights of Time Square are replaced by the most star-filled skies imaginable. Head to Northeastern New York and visit the historic and beautiful and large Lake Champlain. Fishermen know it grows the biggest bass and the rest of us know its waters host wonderful distractions: kayaking, sailing and island-hopping. You'll also see orchards and wineries and gorges and caves and the rest of the land is beautifully battle-torn from the War of 1812. West of that, in the Finger Lakes Region, you’re surrounded by sprawling vineyards and quiet roadways. Still, this portion packs a lot of punch. We're sure Mark Twain would completely agree. He wrote his most famous works high on a hilltop (Quarry Farm) with his head literally in the clouds. We can see why he adored it so much: Victorian homes dot leagues of blue hills and breweries and festivals add luster to the city. Farther west you can watch 40 million gallons of water rush over 170-foot cliffs at Niagara Falls. Though, the Greater Niagara region is more than crashing water. It’s also a mecca of art (think Albright Knox Museum) and architecture (Frank Lloyd Wright anyone?) And when it comes to food, where else are you going to find the original Buffalo chicken wings (Anchor Bar in Buffalo is where it all started). Don’t leave New York State without visiting New York City. Its skyline is world-famous and its streets and nightlife have an unmistakable beat you can’t help but dance to. The world turns with this iconic city and you should, too. Never been? A number of stops belong on your list. The Empire State Building, Central Park, Ellis Island, and the Statue of Liberty just to name a few. After, sink your teeth into real-deal New York art (MoMA), food (A Slice of Brooklyn Pizza Tour) and culture (Carnegie Hall). When you depart this expansive state, you may not remember every landmark conquered but you won't soon forget the miles of Upstate country you carved, the series of NYC restaurants you frequented, and the feeling of the Empire sun beating on your back every last mile. Spend some time in New York where every moment is inescapably great. People travel to Washington for very specific reasons: relaxing at mountain resorts, dining at farm-to-table restaurants, driving along scenic byways, imbibing in local beer, and yes, stocking up on coffee beans. Now, coffee may be the drug of choice in Seattle but there's a lot more to this city than skinny lattes (or dreams of winning back-to-back Super Bowls). Seattle is one of those rare American cities where you can be outdoors almost year-round without freezing or sweating. The foodie in you will appreciate the enclaves of fresh seafood restaurants and a journey through Pike Place. And come rain (no doubt about it) or shine the outdoors enthusiast in you will enjoy North Cascades National Park, plus all the vibrant seaside parks scattered along the coast. Southwestern Washington is in a class all its own. When you're right between Portland and Seattle nothing's out of reach. You can sip on local wines, spend a day pulling in champion-sized salmon and steelhead from nearby rivers, or take a private tour of one of the world's most famous volcanoes (Mount St. Helens). In Eastern Washington you'll find a near infinite amount of lakes, an almost impossible expanse of mountains and a passionate-about-nature-and-nightlife city sitting beautifully in the center of it all, Spokane. More than 20 wineries are nearby but we suggest Arbor Crest since it's about the cliff-top views as much as the fantastic wine. You can probably tell, it's not hard to paint a pretty picture of Washington. On the west, you’ve got a year-round mild climate and the greenest of views. And in the rest of the Evergreen State, you've got resorts and unending outdoor adventure. What's not to love? The residents are proud to call this cross-section of America home; when you get here you'll see why. In Arizona everything somehow seems grander and larger than life. Long before the first cowboy rode onto the silver screen, the world's love affair with this Wild West state burned bright. Come here to witness the spectacle that is the Grand Canyon; admire the giant saguaros (pronounced "suh-wah-ro”) that dot the Sonoran Desert; or stand at the celebrated Four Corners—the only point in the U.S. where the boundaries of four states touch (though if you read the news, the surveyors apparently missed the real mark by 2.5 miles). Then there’s Phoenix—the oasis town that has it all. Just imagine: you can raft in the sun-filled Salt River Canyon, hike in McDowell Preserve, and dive into endless spas and retreats all in a short amount of time. Two hours south of Phoenix you'll find another something-special city, Tucson. There aren't any beaches here, but there are deserts and mountains that frontier legends blazed through. There isn't infinite mild weather, but there are four un-boring seasons awash with color. And there aren't any waves crashing but it does grow tons of grapes, in fact, the area is surging with wineries (the region's appropriately called Napa-zona). Ultimately, Arizona's more than warm temperatures and desert landscapes. There are caves to cool off in and forests to hike through. Find out what lava-tube-spelunking is all about in the entirely underground, 1.5-mile long Coconino Cave. Or trek near seven national parks and monuments in the world's largest ponderosa pine forest. Go on, rethink Arizona. Then grab your hiking boots and head out into this too-huge world of wonders. Be sure to read part one of "Global Medical's top 10 states for locum tenens doctors to explore in 2015"